I love lace and I love leopard. Animal prints inspired by nature and the delicacy of lace makes an intriguing contrast; I love pairing them because it expresses the romantic side of me and the wild side of me. I was happy to find a scarf that combines lace and leopard, just perfect. The unique roses detail on the scarf is leopard print. My black lacy knit cardigan is from Le Chateau (Canadian made) thrifted $12. Lace skirt is a shimmery bronze colour. I found these leopard heels at a thrift shop for $6. and can actually walk a few blocks in them. Good thing I brought along my leopard ballet flats, so I could enjoy a stroll along the Avon River in Stratford, Ontario. Take time for nature and enjoy the simple things in life! This entry was posted in Animals, Day Trips, Fashion, Nature, Photography, Scenery, Spring, Stratford and tagged day trip, fashion, lace, leopard print, scarf, swan, thrifting. Bookmark the permalink. Love the leopard and lace look. Although this post is over 3 years old leopard is still a hot trend this season. I’m loving my leopard flats. For some time now, I’ve been fascinated with animal print pumps. Enough so, I buy whenever I see a great pair for my wife. LoL. So it’s always good to see others appreciate this amazing pattern. Leopard and lace … surely not every leopard/lace combo works as well as this one does, but boy, does this one look terriffic! Scale and color … taking notes as I speak! Two lovely swans! The feathered ones can be crabby, at times. Looks lovely and friendly here. Just don’t run out of goodies! OMG count me in as in love with the total ensemble…..so romantic esp. with that backdrop!!! I wouldn’t have thought to match animal print to lace, but your post says that it really works! It’s alovable outfit! P.s. 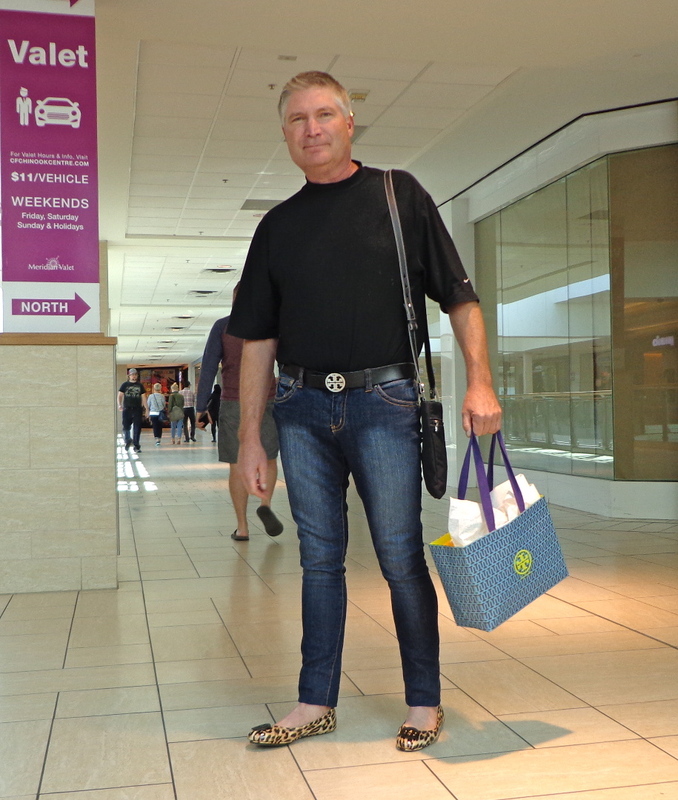 I think I will crib your idea to bring a pair of flats in the bag…just in case…. You look great! Super cute outfit. Thank you LeeLee! Nice to meet you and I appreciate you stopping by! Such a pretty look! Thanks for sharing with visible Monday. Thank you Patti! I’ll be seeing you at your next Visible Monday! Thanks for hosting! O my, you are always so classy….your radiance just beams forth out of the pictures. And you are always so kind with your comments Bob! Thanks for taking time to stop by! Thank you Violet! Enjoy your walks through High Park! Thanks Ute! I wish they were more comfortable, but I love the pattern. Thanks for your comment Ralph! Hope your week is going well.